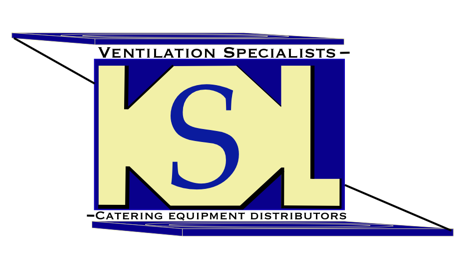 SKU: KSLDK881. 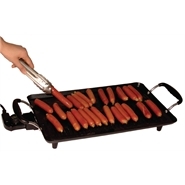 Categories: Chargrills, Griddles & Grills, Electric Grills. 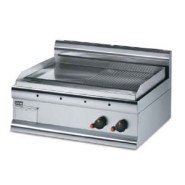 This Lincat Opus 700 Electric Chargrill OE7406 is specifically designed to withstand the rigours of the fast-paced restaurant or hotel. 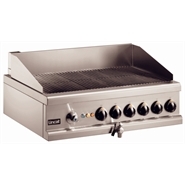 It is a high-powered, durable machine that can produce a high output of succulent chargrilled food whenever it’s needed. 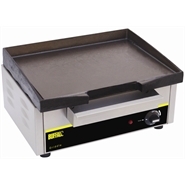 The removable cast iron grids give the food attractive branding marks, while controlled flaring provides the distinctive chargrilled flavour that customers love. 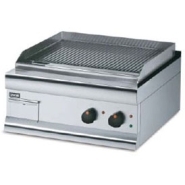 The innovative inclusion of six independently controlled heat zones allows for use on a variety of applications simultaneously, making the Lincat Electric Chargrill one of the most versatile chargrills on the market.